We’re very excited to announce today a world-first collaboration with Crown, one of the largest packaging companies in the world and the number one producer of food cans globally. Together we’re embedding digital intelligence into billions of consumer packaged goods (CPG) products, making each one capable of triggering and driving digital applications. For leading global brands this collaboration means their products can now come with digital capability right out of manufacture at huge scale and with immediate application opportunities. Under the partnership, Crown will add unique serialized codes and on-product triggers ‘at source’ to products packaged in beverage, food and aerosol cans, and in specialty packaging tins. Every physical item has its own unique software identity and data profile in the cloud with the EVRYTHNG IoT Smart Products Platform, enabling each product to power new real-time digital applications and analytics throughout its lifecycle. Crown and EVRYTHNG are making it possible for food and beverage products to be #BornDigital™ , given digital capabilities right out the gate as they’re made. 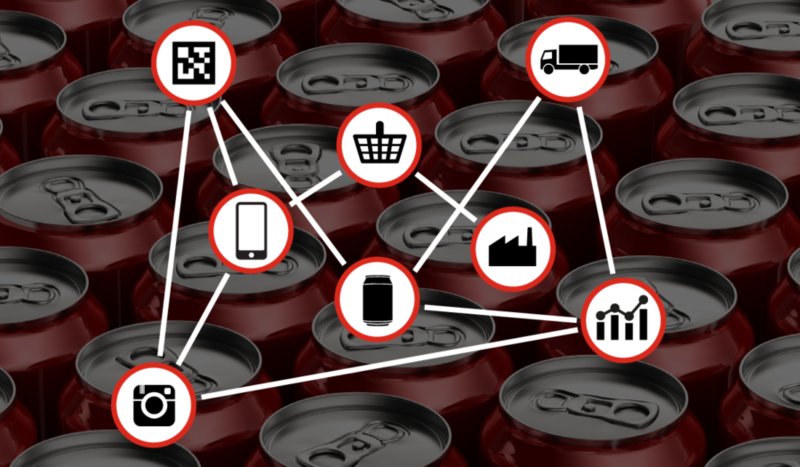 With billions of products packaged for many of the world’s leading brands every month, this collaboration is a switch-on for the consumer packaged goods industry, enabling IoT applications at unprecedented scale. IoT-enabled packaging makes it possible for people and systems in the supply chain, and for consumers at point of sale and post purchase to interact with products using a smartphone and connect in real-time with the cloud ‘half’ of the physical product – sharing and accessing data, triggering applications and services. This capability opens up a wide range of smart product applications and helps brands tackle business challenges that are common to all CPG sectors, such as traceability, transparency, brand protection, digital consumer engagement and sustainability. Earlier this year we announced a ground-breaking partnership with Avery Dennison RBIS, which will see at least 10 billion apparel and footwear items being manufactured with an Active Digital Identity™ and #BornDigital™ . 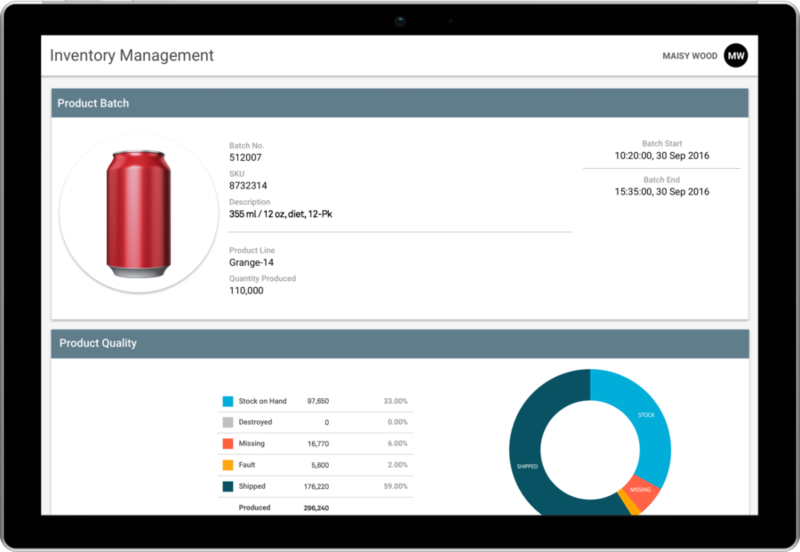 Now, working with Crown we’re bringing digital transformation to the Beverages, Food, Health & Beauty and Home Care markets – sectors that together manufacture over a trillion units with metal packaging each year. They’ll be able to easily draw down on this inherent digital capability and focus on the applications they want to deploy rather than be overwhelmed by the challenge of how to web-enable passive, physical products at hyper scale. Product information: Consumers can scan smart packaging for product nutrition, ingredients, manufacturing processes and provenance for total transparency about where a product came from and how it was made. Supply Chain Tracking: Staff and other role players in the supply chain can scan products to track inventory, update field information and optimize stock levels. Loyalty Rewards: Consumers can interact with products to access personalized digital services, offers and content. Product Reordering: Consumers can use their smartphones to interact with, or reorder, products and access similar products that they may want to purchase. Brand Protection: Brands can bolster anti-counterfeit programs by enhancing products with item level digital authentication and real-time analytics. The digitization of the world’s products is well under way. It’s no less a transformation than when computing first arrived on the desktop, or when smartphones first landed in consumer hands. We’re super proud to be at the vanguard.